One of the great things about our Shooters’ Forum is that many uniquely talented shooters share their knowledge and test findings. One of those experts is “bsl135″ aka Bryan Litz. Bryan is no ordinary “weekend warrior”. He graduated from Penn State with a degree in Aerospace Engineering. He then began a career as a missile design engineer at Wright-Patterson Air Force Base. He has written many ballistics programs and technical papers dealing with long-range flight dynamics of projectiles. Bryan is also a superb long-range shooter, holding an NRA High Master Classification. 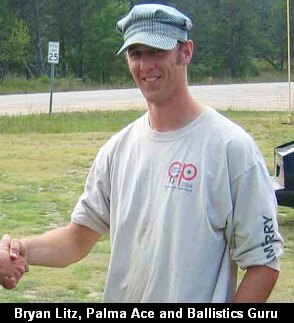 At this year’s NRA National Championships at Camp Perry, Bryan beat 258 other competitors to win the Palma Individual Trophy Match. Bryan shot a remarkable 450/26x, not dropping a single point. Breaking News: Just today, Bryan won the Ohio State Midrange Championship, an iron sights event with 15 shots each at 300, 500, and 600 yards. Bryan shot a spectacular 450/39X. Again, Bryan didn’t drop a point and his X-count would make this a new National Record, pending certification. Congrats Bryan! “I’ve developed a repeatable procedure for test firing bullets to determine ballistic coefficient. 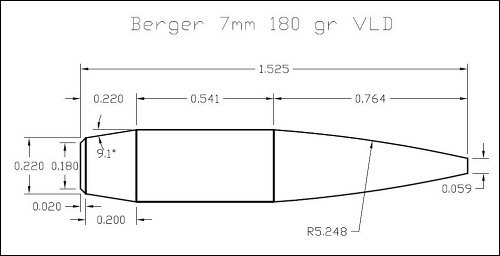 If you get Precision Shooting Magazine, the March issue has one of my articles about test firing the Berger .30 cal 155gr VLD. Long story short, my test procedure uses acoustic sensors in 200-yard increments to measure time of flight out to 600 or 1000 yards. My BC measurements are repeatable to within +/- 2%, usually within +/- 1%. 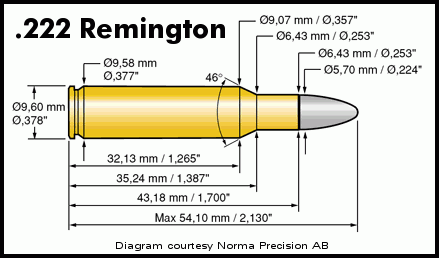 Share the post "Bryan Litz — Marksman, Rocket Scientist, Ballistics Guru"
The .222 Remington is a superbly accurate cartridge. Younger shooters may not remember, but the .222 Rem (aka “Triple Duece”), dominated short-range benchrest before the 6PPC took over. For years, Triple Duece fans could depend on premium Lapua .222 Rem brass. However, Lapua has halted production of .222 Rem cartridge brass for the time being. Many Forum members have asked, “where can we find high-quality .222 Remington brass?” Sinclair Int’l carries Norma .222 brass (see above), but it’s quite pricey, at $85.50 per 100 (item BR222). This is quality brass, though many shooters felt that it may not stand up to high pressures for as many reload cycles as will Lapua .222 Rem brass. Forum members have tracked down remaining quantities of Lapua .222 Rem brass in Canada. RPS International of Alberta lists Lapua-headstamp .222 Rem brass in stock at a price of $69.00 CND per hundred. That price is in Canadian Dollars and is subject to change. Contact Mr. Joe Ponto at RPS Int’l, (780) 962-3395 or Fax (780) 962-1443, sales [at] rpsinternational.com. This won’t last long…. CLICK HERE to download RPS Int’l price lists. Share the post "Sources for Premium .222 Remington Brass"